The Cleveland Indians have gone 69 years without a championship. The Dodgers last championship was in 1988, 29 years ago. When the Astros won this year, it broke a 55-year draught. All these teams with such long championship draughts. Is this normal? I’d say so. 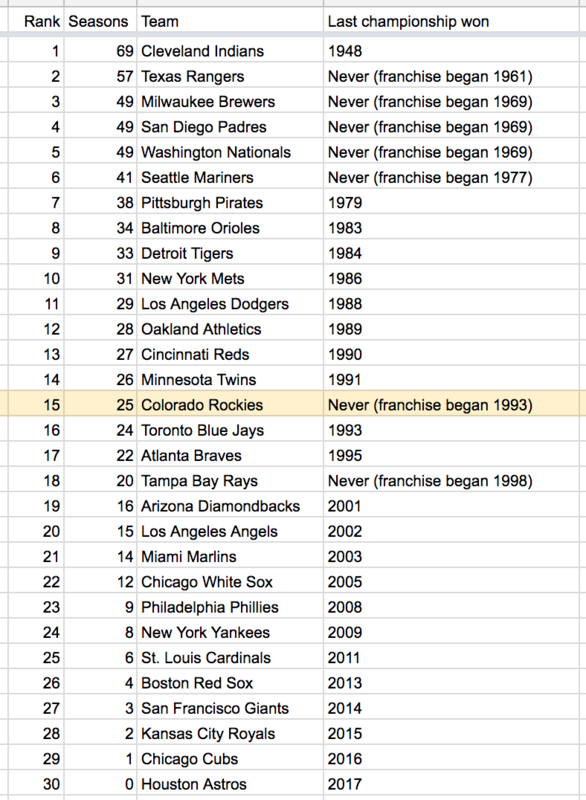 There are 30 teams in Major League Baseball, and only one winner a year. You’d figure that the average number of years a team has to wait would be at least 30 years–and that’s figuring that each team will win only one World Series. If other teams win more than one World Series, that extends your team’s waiting time past the 30 years. 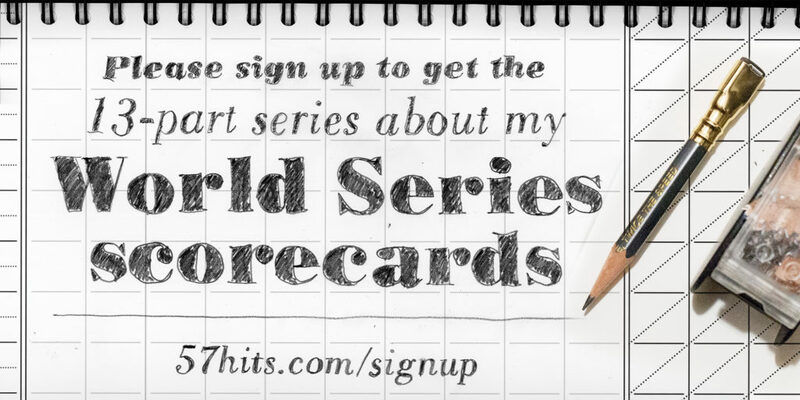 However, the median number of years without a World Series championship is 25 years. Not too bad! 25 years ago, there were only 26 teams. So maybe that math somehow works out.